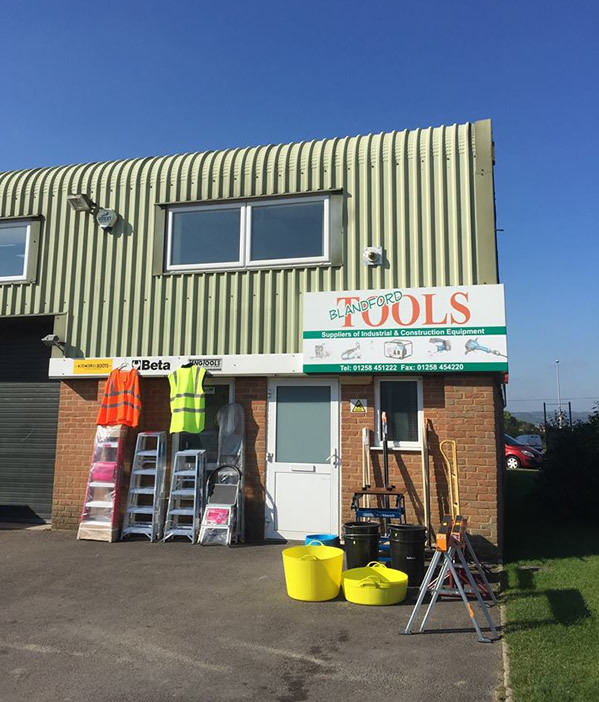 Blandford Tools Ltd was started in the north Dorset market town of Blandford Forum in 1980 and has built up 30 years experience in the equipment supply and after sales market. We stock a wide range of industrial and construction hand tools, power tools, generators/pumps, access products, diamond cutting/drilling, cleaning, automotive and spare parts. If you are looking for Blandford Tool Hire or Blandford Tool Sales then please just contact us or visit our tool shop on the Sunrise Business Park in Blandford and we will be more than happy to help.